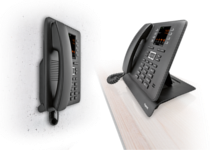 No matter how busy or big your customers’ offices may get, Gigaset’s revolutionary N870IP Pro DECT system offers a fully future-proofed solution with plenty of scope to expand. Providing support for up to 250 handsets, 60 base stations and 60 simultaneous calls per system, the N870IP PRO will soon be able to be extended up to 100 systems with Gigaset’s Integrator VM – providing incredible scope for prospective growth. Join us for our upcoming webinar, ‘Gigaset Multicell: Future-Proofed Solutions, Easily Deployed’ to find out more. 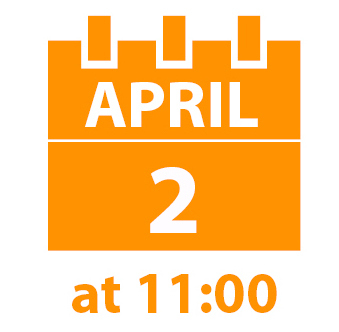 We invite you to join us for our upcoming webinar on Tuesday 2nd April at 11 am when we’ll be joined by James Bevan, Technical Sales Manager at Gigaset to take a closer look at Gigaset’s Multicell range and how, through our range of services, you too can supply even the most complex of solutions. 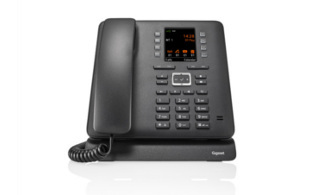 The new Gigaset N870IP PRO DECT system has arrived! Offering the latest innovative breakthrough in DECT technology, this new system is the definition of a highly scalable solution – we’re certain it’s going to take the multicell DECT market by storm! Combining DECT base stations and a DECT manager in one, the N870 removes the need to purchase a seperate DECT manager*, making it a more economical solution. Each multicell system supports up to 250 handsets, 60 base stations and 60 simultaneous calls. Using Gigaset’s Integrator VM (coming soon), users can combine up to 100 systems which is the equivalent of 6,000 base stations creating a solution which supports up to 20,000 handsets and 6,000 simultaneous calls! 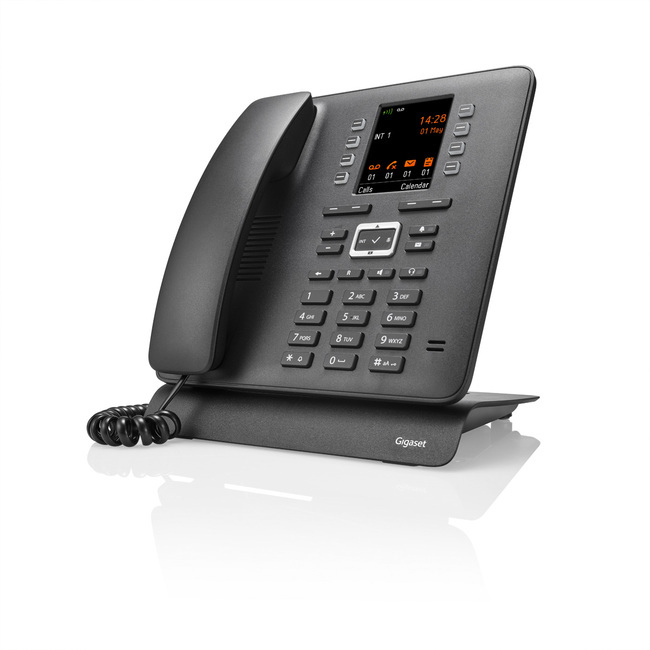 With compatibility across all recent Gigaset pro DECT handsets, users can select any combination of S650H, R650H, SL750H or Maxwell C handsets. With the ability to scale the N870IP system up to enterprise level, we understand that it may not be a straightforward solution to quote for. We offer a white labelled DECT survey and installation service to help ensure your systems provide the correct coverage to meet your customers’ requirements. Get in touch to find our more. *For solutions that include 10 or more base stations or more than 50 handsets, users are required to use one N870 solely as a DECT manager. It’s been a busy month for the ProVu Team with numerous webinars and the Channel’s biggest exhibition, Channel Live. 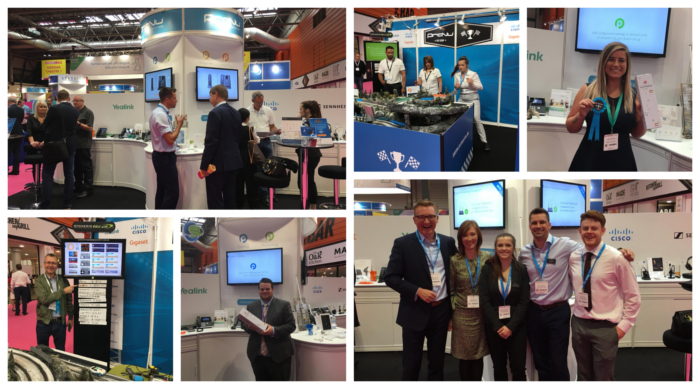 This year’s show was the second show to be held at the Birmingham NEC and we were delighted to be joined by Cisco, Gigaset, Sennheiser and Yealink on our stand. As always it was great to catch up with our partners, old and new. In addition to our product-focussed stand, we also had the ProVu Pitstop where we had everyone’s childhood favourite, Scalextric on the stand. Throughout the two days visitors competed to make it on to the ProVu Pitstop leaderboard to be in with a chance to win one of four bottles of Champagne. Congratulations to everyone who made it onto the leaderboard and to our 4 Channel Champions! If you attended the show, we hope you enjoyed it too – we look forward to seeing you again next year! 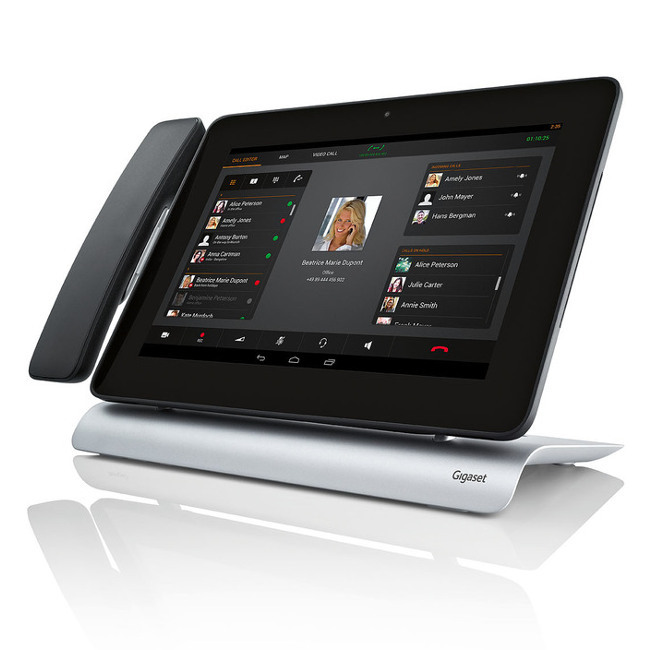 Have you discovered the new Gigaset Maxwell C wireless DECT desk phone? Combining a feature-rich device with Gigaset’s renowned wireless capabilities the Maxwell C offers a solution for a wide variety of applications. Ideal for environments such as hospitality, garages and warehouses, the Maxwell C can be wall mounted to give users the flexibility to install the phone to suit their own individual environment. Keep desktops tidy! With only a power cable required, the Maxwell C is ideal for today’s minimalist office environment. 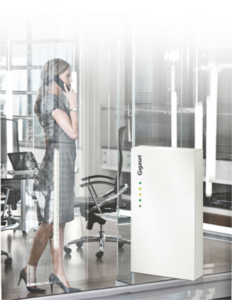 Compatible with all Gigaset pro single cell and multicell systems, the Maxwell C can be easily integrated into existing set-ups – ideal for environments without a physical network connection. Compatible with both the N510IP and N720IP base stations, with the Maxwell C you are able to build your own custom solution. Why not bundle it up with either the R650H, S650H or SL750H to offer a flexible package with devices for both the desktop and on the move. 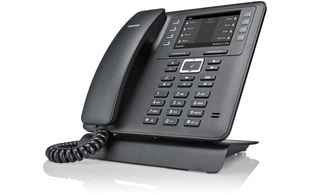 We are pleased to announce the availability of the new Gigaset Maxwell C wireless DECT and Maxwell 2 desk phones. Joining the stylish Maxwell range, these phones offer a solution for every environment, with or without a physical network connection. Register Now for our Gigaset Multicell Webinar! You’re invited to join our Gigaset Multicell Systems Webinar! Join us on Tuesday 13th March when our Sales Account Executive, Gavin Sykes will be joined by Gigaset’s Technical Sales Manager, James Bevan to discuss the advantages of this powerful DECT solution and how it can integrate into other systems. How does Gigaset DECT compare to its competition? Why Choose Gigaset Multicell over other Systems? This blog post will explore the advantages of Gigaset multicell DECT systems over single-cell, Wi-Fi and other manufacturers’ systems. The most immediate advantage of a multicell system is the simple fact that they give you greater coverage and roaming capabilities. Using a single-cell system with repeaters can work in smaller situations, however, the number of simultaneous calls can be greatly limited by doing this. Using a multicell system rather than single-cell allows for a greater number of handsets to run off the system, as they have more antennas to speak to which in themselves are often more powerful. 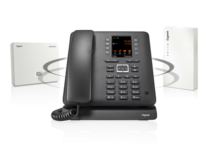 The need for more handsets, of course, brings about the need for more simultaneous calls, which the Gigaset N720IP system can handle with ease, up to a maximum of 30 per system. Using a Wi-Fi based system can sometimes result in dropped calls when a handset needs to handover between access points. Using a DECT system, however, eliminates this problem and allows a “pre-handover”, if you will, once the system detects the handset is leaving the range of its current base. Wi-Fi based portable handsets will often retail for hundreds of pounds, whereas the S650H at the time of writing retails for £74.99, meaning the handsets and the system as a whole can be far cheaper. Many systems will allow you the base stations and a single handset, which will be expected to handle all possible situations. The Gigaset system, however, will offer an S650H for everyday use, an R650H for tougher environments and outdoor use, and an SL750H for higher-end executive use. Join me in March to learn more about Gigaset’s multicell offering, including an in-depth look at these advantages and how they will benefit your customers and details on new products that will be released in 2018. The Gigaset Maxwell 10 is now even more powerful! The Gigaset Maxwell 10 has been updated! The newly released Maxwell 10S is now more powerful; with double the amount of memory to ensure a fast performance even when running multiple applications. The Gigaset Maxwell 10S ships with Android Lollipop 5.1 firmware. The old Maxwell 10 models are now discontinued and no longer available to purchase.